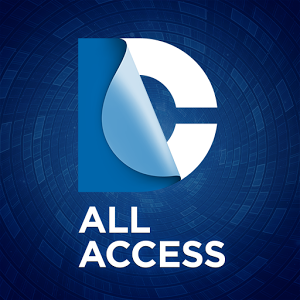 DC ALL ACCESS is your daily DC. Anytime. Anywhere. Get official news, real time social updates, daily rewards, deals an upcoming exclusive DC emoji keyboard and much more! 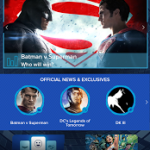 Presented in an exciting interface, DC ALL ACCESS showcases the best of the DC universe across movies, television, games and comics. 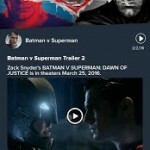 *Daily news updates, exclusive material and featured content for DC’s hottest properties from movies, TV, games and comics. *Watch videos, read articles, view photos or take part in the challenges, quizzes and polls with content curated just for you. *Featuring exclusive DC emojis, animated gifs and stickers of your favorite characters. *Copy emojis, stickers and gifs directly into your Messages, Mail and all of your favorite chat apps. *New emoji packs can be downloaded and added right from the widget! 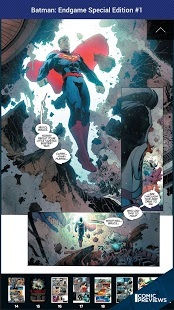 *Read exciting previews, hand-selected stories and exclusive comics picked just for you. 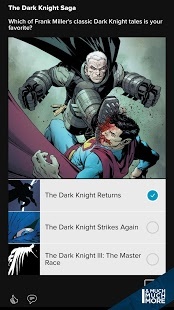 *Let the app lead you panel-by-panel through each story. 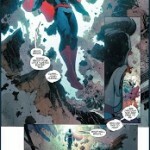 *Cast your vote in custom-themed polls catered to the latest topics in the DC universe. 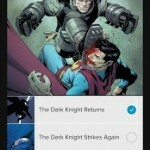 *Test your knowledge of DC’s heroes and villains in character-based quizzes. *Completing polls and quizzes earns points that can be redeemed for exclusive app rewards. *Get exclusive offers and specialty sale items on DC products, including DVDs, digital downloads, games, collectibles, comics and more! *Complete digital challenges and location-based check-in’s to earn points and exclusive rewards. *Participating in polls, quizzes and challenges will earn points that can be redeemed for exclusive digital rewards and other special offers available only to DC All Access app users. 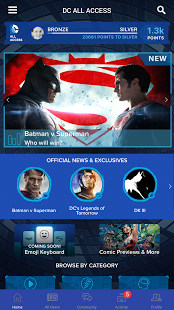 *Create and customize your own profile to interact with other DC fans. 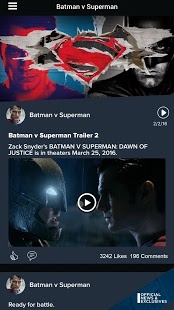 *Connect with friends, join fan forums and live chats to talk about the latest news from across the DC universe.